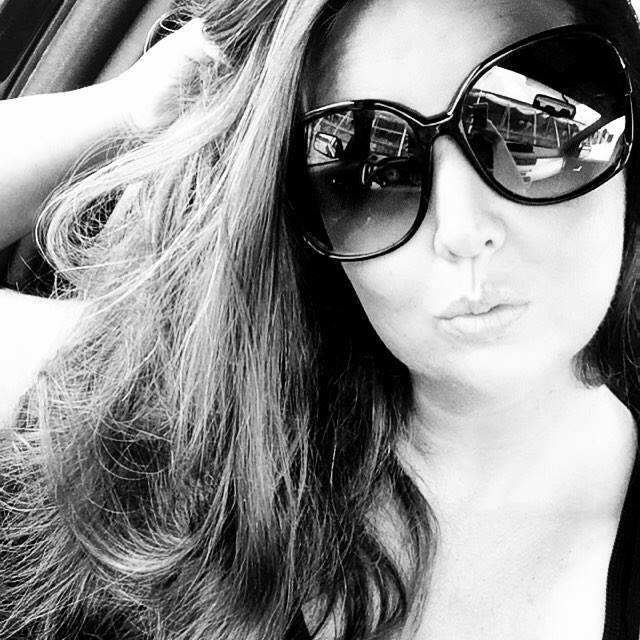 I am like a lot of girls, I LOVE makeup and makeup products. 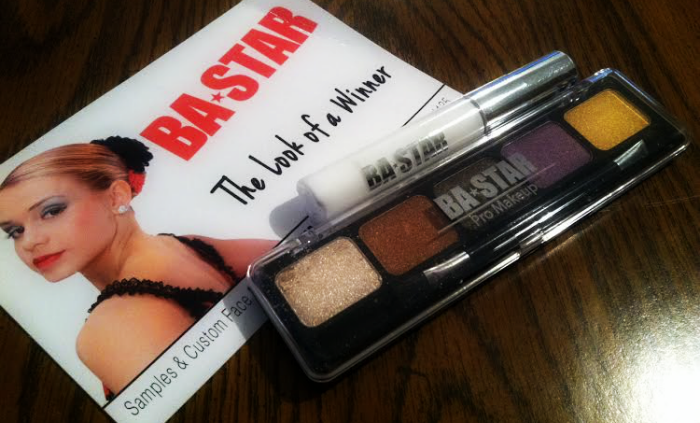 So when I was contacted about reviewing a new line of makeup that is geared toward those who are involved with cheer-leading and/or dance from BA*Star, I couldn't resist. Sing, Dance, Strut, Perform- Shine Like a Star! 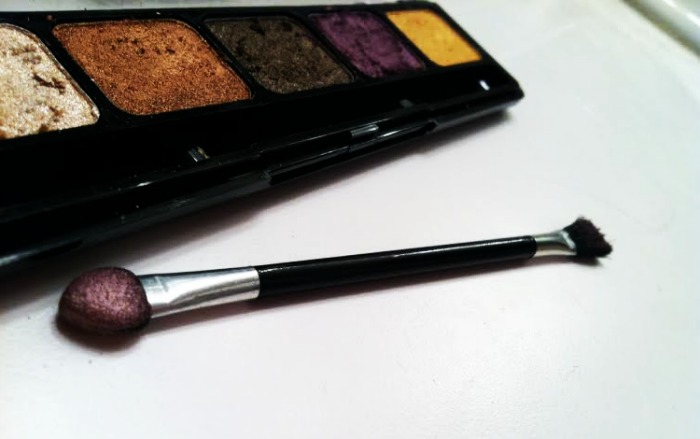 The palette color I chose was the Spicy Natural Eye Shadow Palette collection. Here is the colors up close. 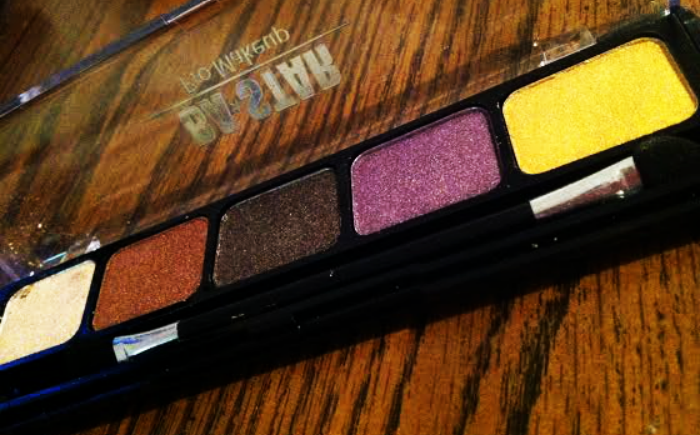 I received the palette with five high pigmented colors and an eye shadow base for all day hold. 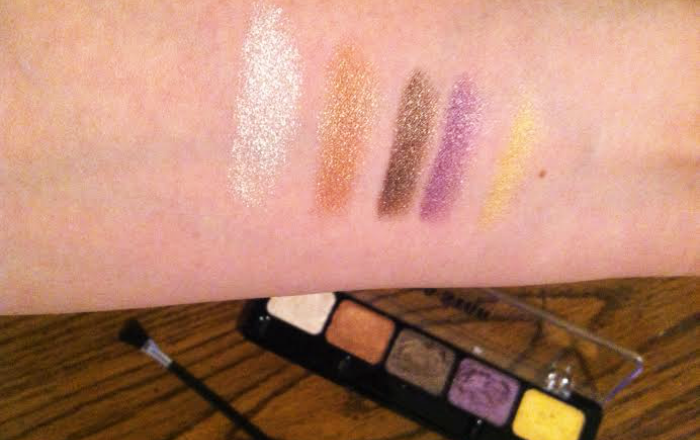 As you can see, I swatched them on my arm before I got started to show their pigments on the skin. They come out pretty deep in pigmentation. 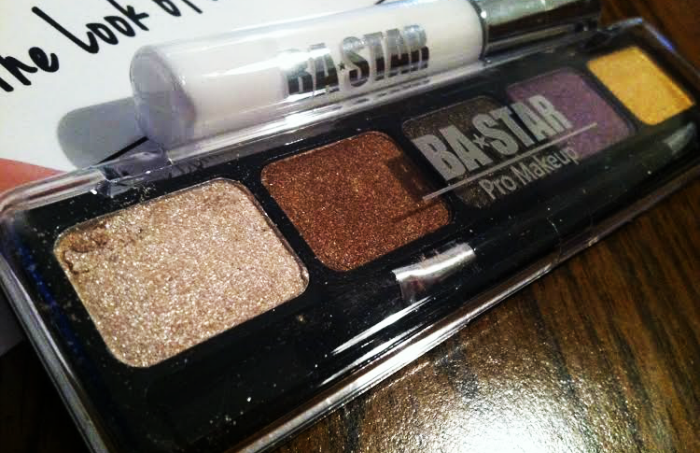 Sometimes you buy an eye shadow and it is so much lighter than anticipated from it's looks while in the container. But these really do stay true on the skin as well. I also like that the applicator has both the sponge and the brush on it. Makes it so easy for applying and blending. So the next thing I needed was a test subject. My seven year old volunteered to be my guinea pig because she jumps at any excuse to be able to put on makeup. Plus, she's much more beautiful to photograph! So I did two looks with this palette. The first look I like to call "Sunset". It uses mostly the gold color and the browns. Very beautiful and my favorite. I actually do this look on myself almost everyday now. But I am very happy with the colors. It was beyond my expectations. And I honestly think I will buy other palettes from them just to try them out and see how they compare to this one as well. The colors are so shimmery and have a glitter finish to them which makes them sparkle beautifully. If you are interested in checking out BA*Star's site, you won't be disappointed. 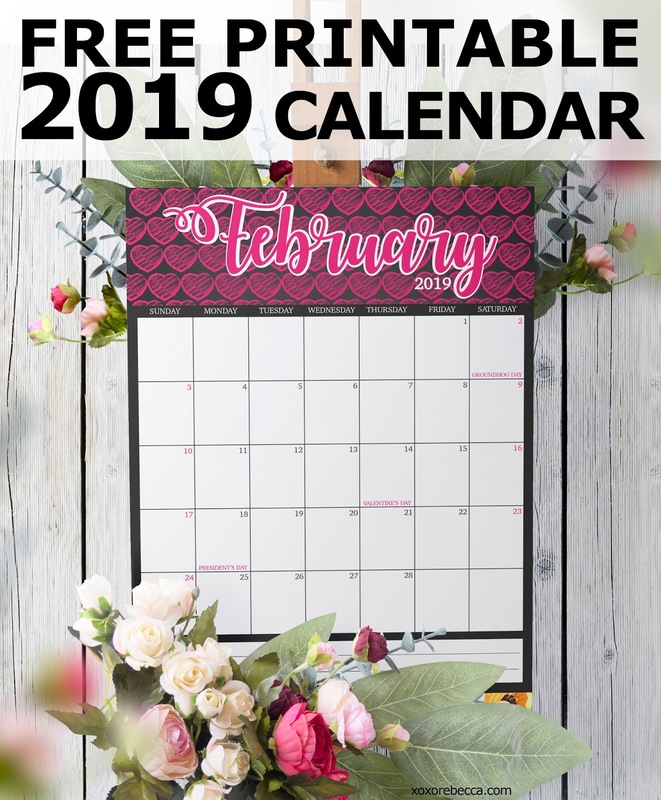 They have a lot of products that are affordable. This was a sponsored post powered by BrandBacker. However, all opinions are my own and honest about the product.